Living with diabetes can feel like an overwhelming prospect. Between blood sugar levels, the glycemic index, and which type of diabetes is which, it can be frustrating to figure out where to begin. It may even seem like all your favorite foods are now forbidden fruit. If your diet didn't have much variety to begin with, you may be having a lot of difficulty planning meals. Don’t panic though; with nearly 400 million people estimated to have diabetes worldwide, you’re far from alone. There are two recognized types of long-term diabetes. Type 1 can occur out of the blue; sometimes children are even born with it. The body fails to produce insulin, and so it must be provided externally. Type 2 diabetes occurs when the body stops using insulin the way it’s supposed to, sometimes after a lifetime of bad eating habits. While it may require medication, it can often be managed through a careful diet and close monitoring. 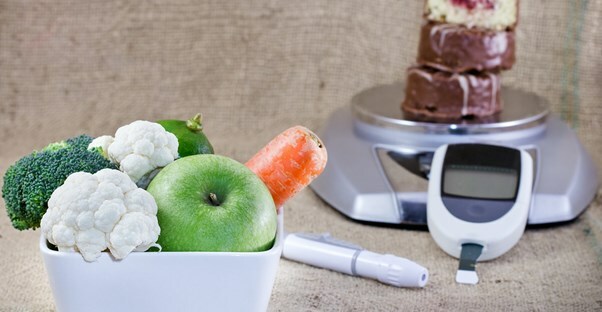 Regardless of the type, diet is crucial to gaining control of diabetes. If done properly, type 2 can even be sent into a remission of sorts. The American Diabetes Association recommends counting carbohydrates, the glycemic index, or the plate method for designing meals. While the same diet won’t work for everyone, the goal of all diabetic diets should be meals that are low in calories and saturated fats but high in complex carbs and poly- or monounsaturated fats. Carbohydrate counting is the most individualized meal planning technique. Medication and activity level must be taken into account, and since these change from person to person, so does the carb counting meal plan. It can take some time to figure out the right amount of carbs per meal, but your doctor is a great resource for figuring that out. Most people start with 45-60 grams of carbs and adjust accordingly. After finding the optimal carb intake per meal, figure out how many carbs are in each food based on portion size, and combine to keep them at or below your goal. Since carb counting is so individualized, the foods you eat can be more individualized as well. It can, however, require a little more planning before you go grocery shopping. The glycemic index (GI) is a scale ranking foods containing carbohydrates. Working on a spectrum of one to one hundred, it ranks each based on how much it affects blood sugar levels, with one having the least and one hundred having the most impact. While the goal is to eat more low GI foods, this approach also gives the user a way to level out those high carb foods they just can’t stay away from. For example, since pineapple is among the higher GI foods, you wouldn’t want to eat it with other high-ranking foods, like bagels. Instead, using the GI, you could see that oatmeal is a low-level food, which means it's safer to pair with the pineapple. Since they have no carbohydrates, foods like meat and most cheeses are not a part of glycemic index. The plate method is probably the simplest method, focusing on changing portion sizes to provide healthier, more balanced meals. Using this method, a plate is divided into three sections—one half and two quarters. The biggest section is filled with non-starchy vegetables, such as spinach, broccoli, okra, or mushrooms. One of the smaller sections is assigned to a healthy protein source (chicken, lean beef, and seafood are among the best), and the other is for starchy foods and grains. From there, a serving of fruit and/or dairy, depending on the specifics of your meal plan, can be added, along with small amounts of healthy fats, like nuts or a vinaigrette dressing for salad. Combined with a low sugar, low calorie drink, like unsweetened tea or water, a whole meal is created with very little fuss or mathematics.